Interested in losing weight? Join us for a free information session to learn if bariatric surgery is right for you. Hosted by Christina Li, M.D., FACS, an advanced laparoscopic and bariatric surgeon and division head of Minimally Invasive Surgery at Northwest Hospital, and Celine Richardson, M.D., FACS, an advanced laparoscopic and bariatric surgeon, the sessions will provide information on patient candidacy, types of surgery and life after surgery. Attendees will learn about laparoscopic gastric bypass, laparoscopic sleeve gastrectomy and adjustable gastric band. Sessions will be held 6-8 p.m. in the Ellicott City practice at 4801 Dorsey Hall Drive, #205, Ellicott City, MD 21042. All sessions are free, but registration is required. Please call 410-601-WELL (9355) to register. 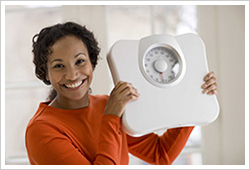 Learn more about the LifeBridge Health Bariatric and Minimally Invasive Surgery Center.